When you look up "The Man" in the dictionary...wait, who does that these days? When you Google "The Man" and click images, all you see is a page full of Richard Redlefsen IN YO FACE! That's because, plainly put, Richard Redlefsen is the man. A long time friend and customer of ours, we asked him to be a part of our Frends Beauty To Beast ad campaign, and he happily joined on. We asked him a series of questions to help you understand more about him, and why we asked him to come down. Check it out! 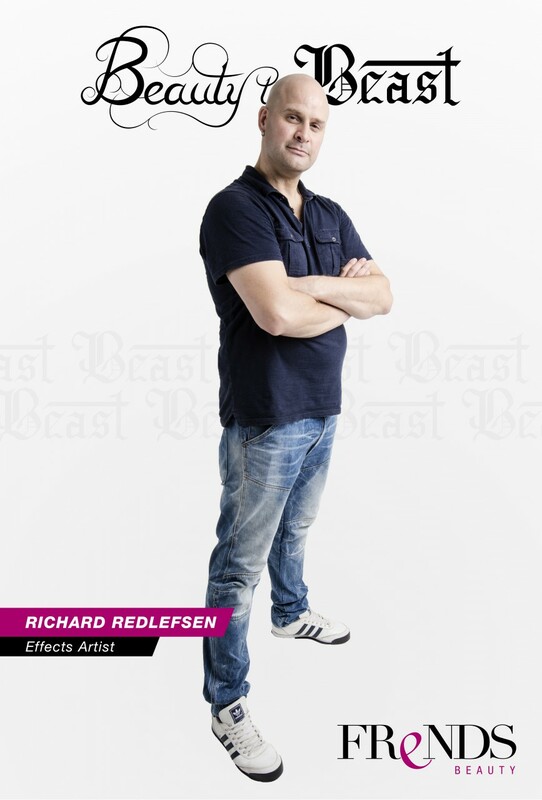 My name is Richard Redlefsen and I'm a makeup artist in the film and television industry. - How would the audience know you? I have worked on films such as Jeepers Creepers, SAW, Pirates of the Caribbean: Dead Mans Chest, Pirates of the Caribbean: At Worlds End, Secretariat, Underworld, Resident Evil: Extinction, Star Trek, Godzilla and most recently was the key makeup artist on Batman v Superman: Dawn of Justice. I have to say that Batman v Superman was the best film experience I have ever had. - What got you interested in the makeup business? - Did you attend school for makeup artistry, if so where? - What would you say is your specialty in this field? I love all aspects of makeup from beauty to fx. I particularly enjoy prosthetic makeup application. - What area of the makeup industry is your favorite and why? I love working on films and TV. It's just being part of something really special. The creative vision of directors and the other craftsmen and women takes incredible dedication and to be a part of that is a very rewarding experience. - What is some advice and tips you can give someone that is starting out? Be passionate about the craft, work hard, be early not on time, offer to stay late and remember you chose a career. A career takes a lifetime to perfect so enjoy the ride. - What is your favorite makeup look to create? I love doing age makeups. Its the hardest hence the most interesting. - Specializing in beauty/character/FX what are some products that you can’t live without in your kit? Why? Most PPI products, Telesis 5 and thinner, Illustrator palettes, Illustrator airbrush colors, Matthew Mungle has some great airbrush colors I always use. Reddish Pink, Purple Bruise, GBB. - What would you say is the most challenging part of this business? Being away from my wife and daughter is very hard. I want them always to be with me. - Who as an artist has inspired you most in this industry? Why? - Artists in this business tend to travel a lot, do you have a favorite place you've been to? Least favorite? - When you're not working, what other things do you like to do? Spending time with my lovely wife and our new daughter. They are my world, they make the makeup world so much better. If I have more free time doing personal makeup projects. - Tell our readers something about yourself that would surprise them. I was a professional ballet dancer for 11 years. - What are some of your goals and dreams as an artist? The most important thing is to create interesting and detailed makeups, work on exciting projects with other great artist and grow as an artist myself.